St. Dominic's Primary School educates the Catholic children within St. Dominic's Parish. 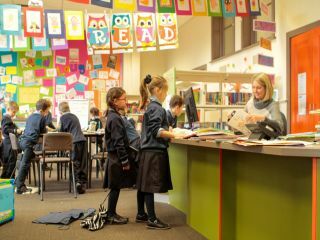 Our facilities are have been refurbished throughout and consist of a variety of learning areas, including a hall, a Resource Centre and an administration area. Major upgrade and refurbishments have been completed over the past 5 years. 282 enrolments. Class sizes vary where our smallest with 18 students and our largest with 26 students. 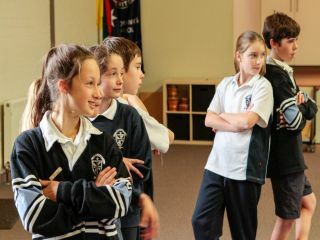 On completion of their primary education the boys generally move on to one of secondary schools from De La Salle College in Malvern, St. Kevin’s College in Toorak or Xavier College in Kew and the girls to Siena College in Camberwell, Genazzano in Kew or Loreto Mandeville Hall in Toorak. Parents are also invited to give assistance within the classroom, in clerical/library duties, with excursions, the School Concert and Physical Education program. NB: It is a requirement for volunteering parents to hold a WWC (Working with Children) Check before assistance is given. More information can be found Department of Justice, Victoria Australia.